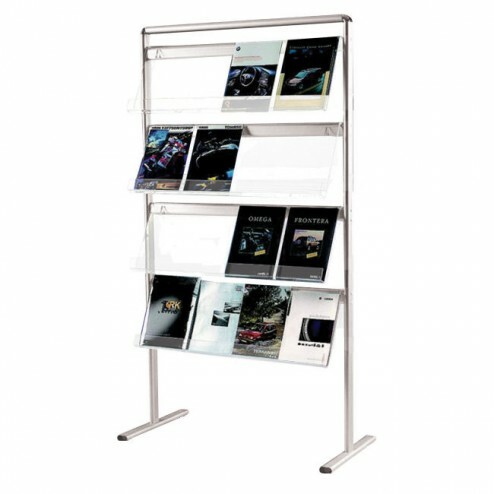 This prestige floor standing semi-permanent brochure holder features a robust yet sleek, anodised aluminium frame. 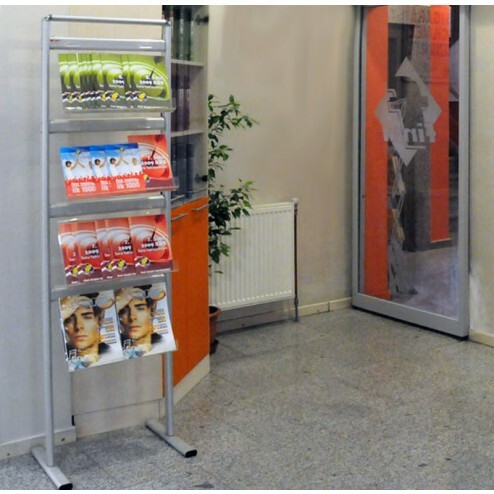 It also comes with transparent A4 acrylic shelving that can be used to display marketing materials including brochures, leaflets and flyers. 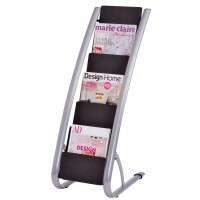 Each brochure holder has the capacity to hold 16 A4 portrait style pieces, or eight A3 style brochures. 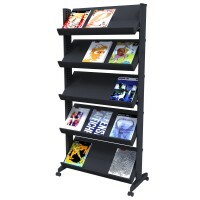 This particular brochure holder is eligible for next day delivery, so if you need a high quality brochure holder in a hurry, this is the item you should order! 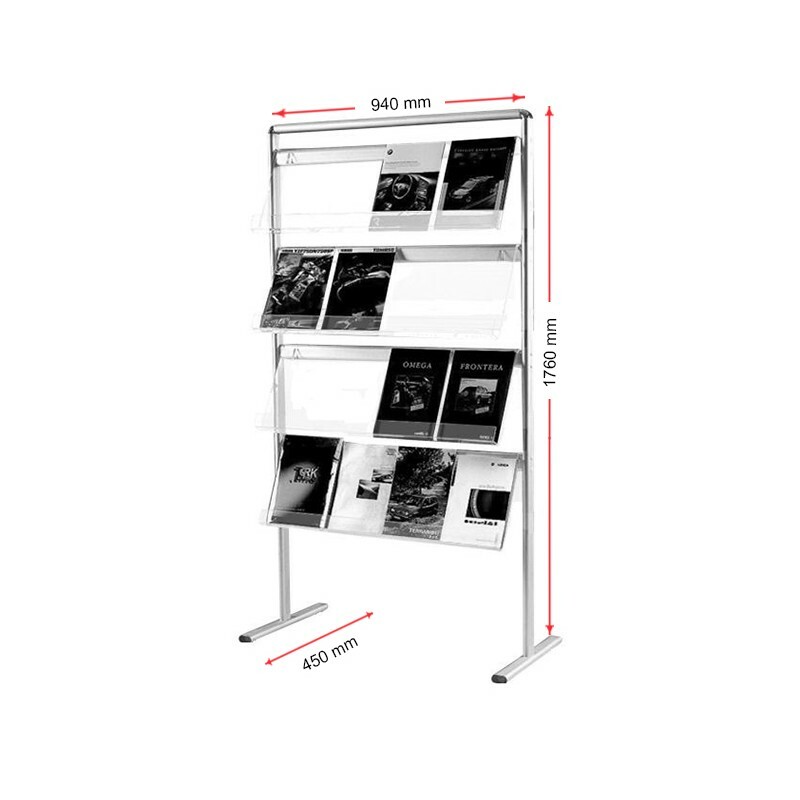 It stands at 1760mm tall, 940mm wide and 450mm deep – it weighs 17.5kg in total. This item can be used in a range of environments including retail, corporate and educational – the unit is imposing and eye-catching, making it the ideal place to situate important literature and documents for clients, customers, colleagues or pupils to pick up. 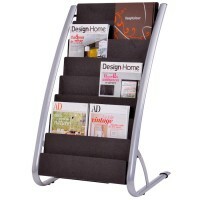 Order your brochure holder from us now – you will not be disappointed with the quality or looks that this product boasts. 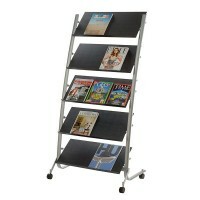 If you would like help choosing a literature rack or literature rack please call one of our display advisors. 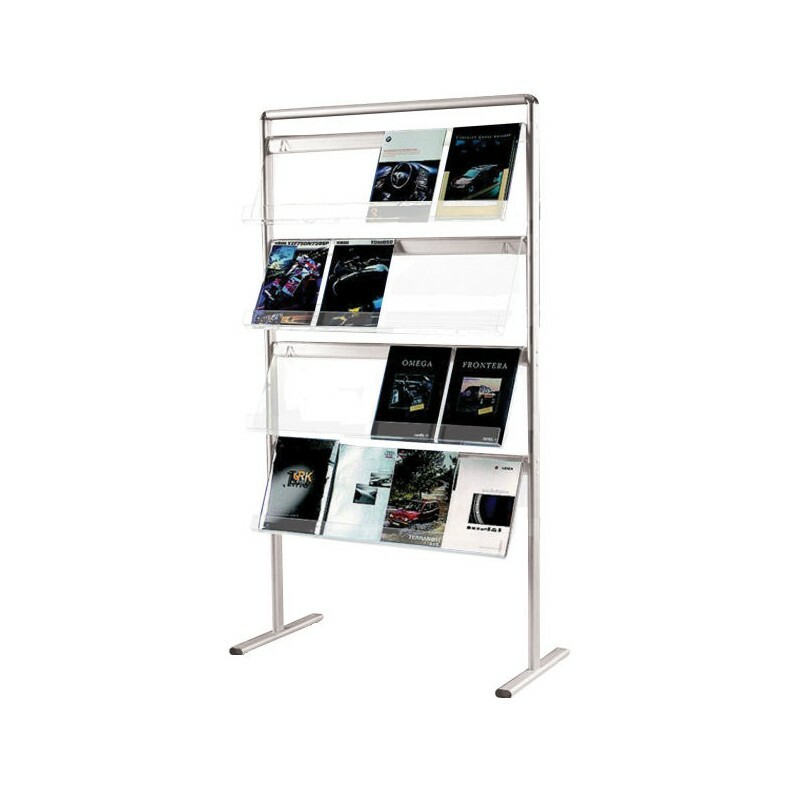 No hard sell just straight forward helpful advice on how to get the best value from your display budget. 0844 800 1020.